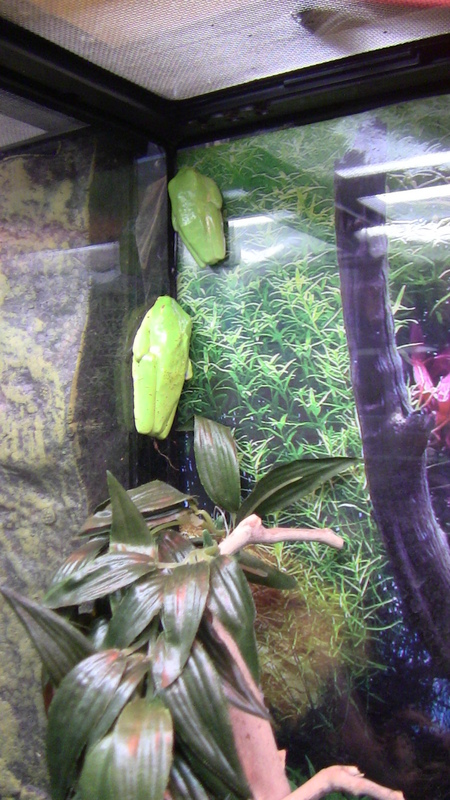 We finally have red eyed tree frogs! These incredible cool amphibians are tired from their trip. They’d make perfect inhabitants to one of our pre-made terrariums! This is their incredible coloring that you see when they are awake!